Almost all of the world’s bigest cities are situated next to large water areas. Thinking of increasing population, decline of usable public space and larger and larger built infrastructure, an important question to be answered is what role can water areas play in our future dynamic cities? 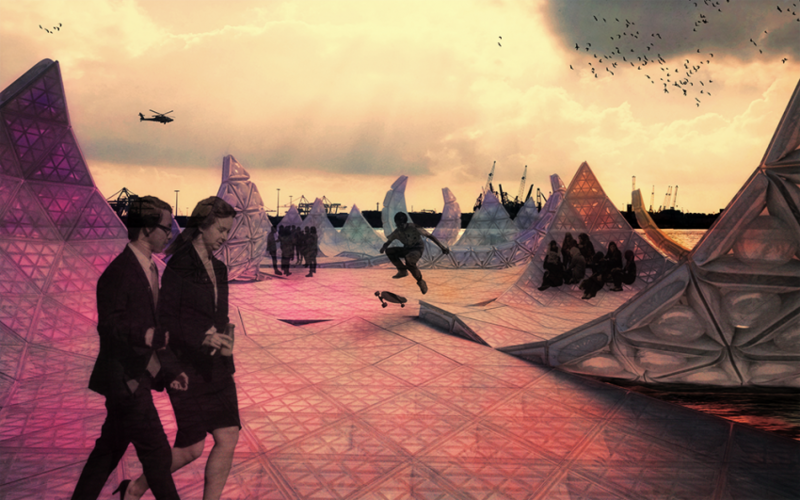 One possible answer is an intelligent, interactive and floating landscape – Swarmscape – which will make use of the water without obstructing its valuable area permanently. 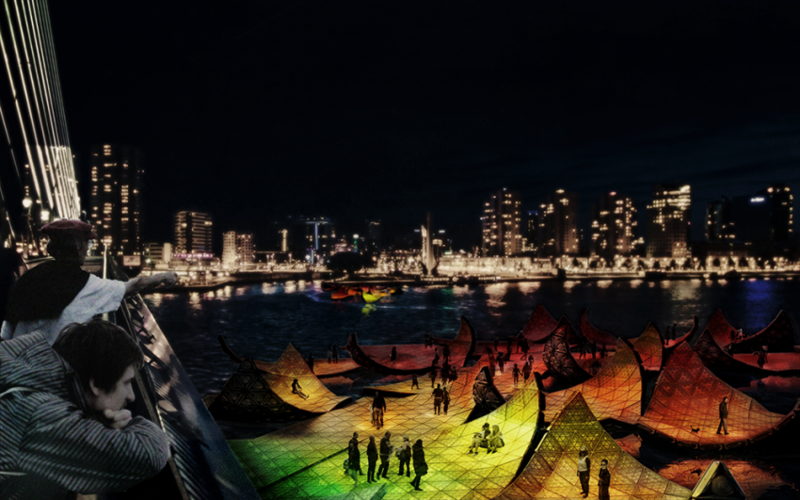 Initially designed to manage huge crowds of the future World Expo at a candidate city of Rotterdam in 2025, project‘s potential reaches beyond that. A tested and developed product could be easily shipped and implemented on any other major world city situated next to water areas. As future mobility is currently an important topic for discussion, Swarmscape addresses a solution to provide new infrastucture over the water without any roboust and large construction. Furthermore, it‘s a new urban space, new meeting point and attraction which enriches city‘s vibrant life in an information driven era.